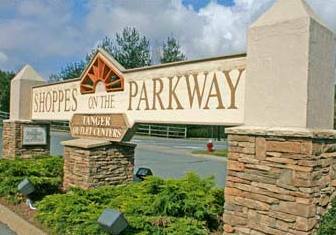 With everything from Tanger Outlet Shopping to a wonderful weekly Farmer’s Market, Blowing Rock has something to offer to visitors of all ages! Blowing Rock is part of the beautiful Blue Ridge Mountains and is a popular vacation destination and wedding venue. The village part of Blowing Rock is filled with specialty boutiques offering local clothing, jewelry, gifts and artwork. From Wilkesboro, hop on US-421 towards Boone. You will drive approximately 20 miles, then turn left onto US-221 for about 3 miles. You will then take a right on the Blue Ridge Parkway and drive on the parkway for about 11 miles. Next you will merge onto US-321 S/US-221 S for a mile. Last you will turn right onto Main St/US-221/US-321-BR. **This is the scenic Parkway route. You can also drive through Boone! If you are looking for quality clothing at a great price, the Tanger Outlets will be the place for you. There are over 30 outlet stores at the Blowing Rock location, as well as a restaurant and a candy & ice cream shop! Some of my personal favorite stores are J. Crew, Polo Ralph Lauren, Banana Republic, Gap, Bass, Izod, and Carter’s. Insider Tip- Make sure you check the Tanger Outlet Website before you go, there are always coupons for several of the stores! This is where you will want to park your car and do a little local shopping! The boutiques and store owners are wonderfully unique. Boutiques offer local fashions, jewelry, and art for visitors to purchase or admire. If you are more of a window shopper, you can grab a cup of coffee or a cone of ice cream and stroll down main street. There are also wonderful restaurants and a great park in Blowing Rock Village. Best Cellar – A favorite among locals and visitors! Offers delicious beef, fresh seafood, rack of lamb and roasting duck. Also features an extensive wine list and private cellar. Bistro Roca – An American Bistro offering salads, steaks, and seafood. Pizza, fresh breads, and roasted meats are also available from the wood-fired oven. Twigs – “Mountain Elegance at it’s Best” This is a fine dining experience that is sure to impress. From the low country shrimp with andouille sausage and grits, to the New Zealand lamb chops, your taste-buds will definitely enjoy themselves! Mellow Mushroom – Pizza, Calzones, Salads, etc. The pizza is outstanding and are made to order. They also make two types of pretzels that are simply delicious. Woodlands Barbecue – Barbecue Beef, Pork, Ribs and Chicken. Woodlands has nightly entertainment and offers a catering service. Visit the Shops on the Parkway! There are stores for visitors of each and every age. With the variety of shops here, you are bound to find something to take home! Walk through the Village. You will have a great time walking down main street looking at the window displays and checking out the local merchandise in the shops. Get some Grub! 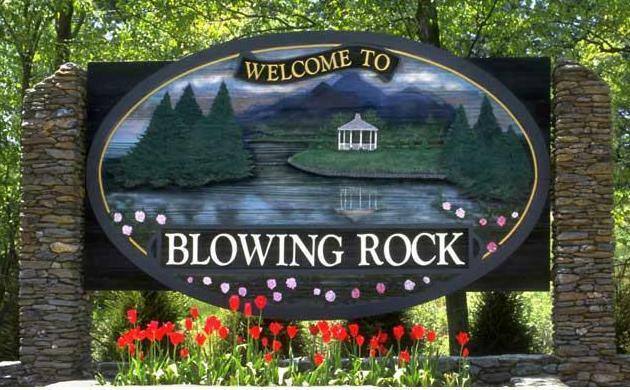 Whether you are looking for a casual, quick meal or a fine dining experience, Blowing Rock has something to offer! Check out the Farmer”s Market! You will have the chance to meet local farmers and purchase some yummy fresh produce!